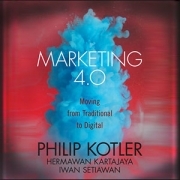 This Is Marketing is the latest book to carry the name of Seth Godin (blog link) as its author. Throughout the book, Seth doesn’t tell us something that we could use in our daily job as marketers. Instead, he is showing us how to lay out our overall marketing philosophy and strategy. Today, we see so many marketing messages that our brain has learned to tune it out. Marketing envelopes our everyday existence, it is omnipresent, like the air we breathe. Our job is to cut through the noise and present value to our userbase, that is what makes great marketers. Marketing has changed. It is not about the spraying and praying, pushing forth a generic Ad aimed at the masses and hoping for results. Marketing is about empathy and service. At its core, marketing is about assisting someone or a group of someone’s and solving a problem. Marketing is about seeing the problem and showing how you can help, it’s not about shouting anymore and hoping to be heard. …listening to them and amplifying an idea that is already present but not yet fully articulated by the community. …fixing those problems and contributing to the culture. Don’t be selfish, don’t interrupt, don’t shout. This is how you reach and audience and build for the long term. 1. Invent a thing worth making, with a story worth telling, and a contribution worth talking about. 2. Design and build it in a way that a few people will particularly benefit from and care about. 3. Tell a story that matches the built-in narrative and dreams of that tiny group of people, the smallest viable market. 5. Show Up. Be present regularly, consistently, and generously, for years and years – to organize and lead and build confidence in the change you seek to make. To earn permission to follow up and to earn enrollment to teach. The community member or the community cares about their problem, their status, their different roles and interactions, and moving from one place to the next. Understand the need of the audience and continuously deliver a story that matters to them. If you do so correctly, you will be able to have the attention that you seek, the trust you desire and the actions you want. Define a culture and stick to it. Stay committed, organize a close-knit group of people, and move. Your culture is your strategy. A marketer can only be heard if they are presenting a story that resonates with their audience. In other words, the marketer must find out what the audience needs to hear. The forces that drive a customer narrative may be irrational. The job of the marketer is to understand those forces and create a compelling solution. They value the underlying significance, the status, the respect, the ability to feel, the end product has to deliver something more than just surface level benefits. It must resonate at a higher level. Know two things when defining your marketing approach; who is it for and what is it for? Then craft a compelling story, create a connection and form experiences. Hear the market and act accordingly. What is the change that you seek to make? Whatever that change might be, here are a mistakes to avoid. 1. Don’t aim for the impossible. Start with a viable, feasible and very specific change and then proceed from there. 2. Don’t try and justify something that you are already selling and try to add buzzwords to make it seem like it is a change that matters to your audience. The change you seek to make will start off with a promise, the promise will be relevant to the specific people that desire a change. Not everyone will want to change. Serve someone or a certain set of someone’s with a very precise set of beliefs and obsess over that particular group to build a compelling brand that will last. Build on the psycho-graphics of a similar group of individuals. Everyone has a specific story that they tell themselves, there’s groups of people who share those stories, once you understand that, then you are able to find an audience and serve them. From there, think about the very number of individuals that you have to resonate with to make a difference that is worth it. Choose your audience wisely. The valuable few will help to dictate your future. Have empathy for the narrative of the person you seek to serve, if you don’t have empathy for the narrative, you are in the process of conducting theft. You are taking away something valuable. You are stealing because you are not showing someone how much they are missing out on the valuable offer that will fit right in with their world view. At heart of marketing is the idea of building stories and opportunities for humans. Remember, that these are stories and opportunities for humans, it may not always be rational. If you are being empathetic then you know that the product you create is best for a special few. It’s not best for everyone, it’s best for a specific type of person or group of persons. Individuals want to feel as if a certain product is for them and for them only. Feeling unique and being part of a specific minority is exhilarating and opportunity for real connection. Industrial marketing shouts at the consumer, not with the consumer. This is why you must stand for something and stand with a community that believes in those values and principles too. Identify your community, identify their wants and dreams and create for that audience. When you create in this manner, you create for the long term. You are able to keep building on top of one foundation. You are able to create something that is better or best for your specific market. Authenticity is how you escape commodification. Consistently put forth the emotional labor to provide the service that your audience wants. It may be difficult but it’s worthwhile, because you are making a change the lives of your audience. A change that they want, a change that they have asked for. When you are delivering change, you are delivering something that will get someone closer to where they want to be, in a better way. Finding out where someone is going and what they need or want to get there is difficult. Not many people know. Your job is to continuously interact with them and learn what they want from your different conversations and produce something that they want. People confuse their wants and their needs. People are intensely aware of their wants yet usually lack the vehicle to obtain their wants. Everyone does not want the same thing. To start the process of discovery into the world your audience. Start with assertions. Assertions about their day, their interactions and their progress or lack thereof in trying to get where they need to be. Proceed to assertions about your product or service and how it is perceived and provides value to your audience. Focus on the dreams, the fears, the wants, the desires and the emotions of the consumer. Once you define and find your target audience, focus on catering to the best of them. Great customers will do the opposite of most people. They will write a review on Yelp because they loved the services. These people are your ambassadors, these people are the one’s that should be your chosen few. Aim to create something that increases in value and becomes better as more great people get involved. If you are able to do so, you can create exponential value and make a lasting impact in your culture. Finding the right people is hard, it doesn’t happen overnight, it is a journey, but it is worth it. The right people will have the capacity to click with the narrative and when they click, they keep moving. As a marketer who seeks to make change, you have to know that the only way to make real change is when you are aligned with the internal narratives of your audience. Jeffrey Sachs, a brilliant economist who wanted to eliminate global poverty found this out the hard way. They ask this question subconsciously and act accordingly. If they think that people like them act in a specific way, that’s how they will live as well. This has two implications: it serves to influence current decisions and to create new decisions that are in line with the narrative, essentially normalizing the behaviors over time. Being laser-targeted on a specific group of people who have a specific culture helps you to make change in a manner that maximizes your upside. The only way to do this is to get inside the minds of your specific group, what do people like them do? Creating tension is a key to success in marketing. If your product isn’t making people switch over and question the relevancy of their current services, then you are doing something wrong. Tension creates impact and change. Use tension wisely to interrupt the everyday patterns of your specific audience. Tension isn’t spamming or wreaking havoc, tension is showing that there is a better way and bridging the gap between here and there. Most people, even your specific audience, wants to get from here to there because of status and affiliation. Our current place in the world drives each and everyone of our actions. Our status is very important to us. Here are a few things to be remember about status. There are two types of status, how the individual sees themselves and how the community views the individual, status also breaks down into affiliation and dominion. The modern business plan should have these key sections: Truth, Assertions, Alternatives, People, Money. Truth tells the reader of the business plan how you view the world and how it is. 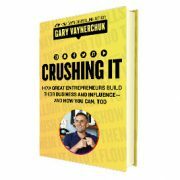 This section will show the reader that you have done your research into how your market works, what others have tried, how others are succeeding, and other crucial information. Assertions & Alternatives tells the reader how you will fit into this reality, this business landscape and make a change for the better, making your potential consumers love you. You will state what you will create or what you will do that will improve the lives of your target audience and how they will respond to your actions. People tells the reader about the people on your team and why they matter, what have they done in the past, and how have they succeeded. The people section then dives into your target audience and talks about their characteristics and world views. Money will tell the reader what you need to make your change happen, it will show the reader how you will make the change with the money, how the money will flow on a regular basis, and how you will proceed to provide a return. We will build and change a culture by taking such and such actions. Instead of asking how can I sell X widgets, you will ask, what is the culture like now? How can I help to build it and change it by solving specific problems for the better? You will look at a specific culture and dive deep. You will look at how they view the world. Then, you will be able to create products and services that help them to move from one place to another. The truth is that people don’t have time to care about you and your products even if you are doing something that matters to them. 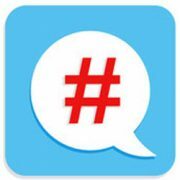 People browse through feeds, they stop if a certain word, phrase, or symbol jumps out at them. People look for things that remind them a different experience and this filters how they view the world and how they view your product or service. This is the way that the world works, design with intent for your audience, not for yourself. Start by creating signals close to what your audience already knows and then have them along for the journey of positive change. Each time you send out a signal, it should remind your culture of what they like, and they should evolve with you as their culture changes. Promise to create with them in mind and they will love you for it. Summary for the remaining chapters can be found in our premium pack here. 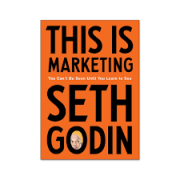 In his book, Seth Godin explains the philosophy of marketing in the modern age. It shows you a bit of the past and where we’re at now. This is Marketing tells you what not do while clearly giving you a blueprint on how you certainly should behave in this new era. Connect with your audience, build trust, and make change. Seth Godin’s This Is Marketing… All fluff, no substance? 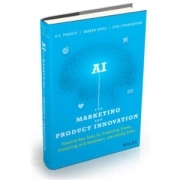 Just have a quick look at all those 1-Star reviews for this is marketing book on Amazon. Seth Godin used all his list of marketing tricks to market for this book, but seems he acted against what he was preaching. He over-promised and under-delivered. One noteworthy criticism is that Seth did not provide real-life examples that support his claims in his book. Another reviewer sees that the content of the book was copied from the many blog posts of Seth, and that explains many too short sentences and repetitions of ideas with different wordings all over the book. 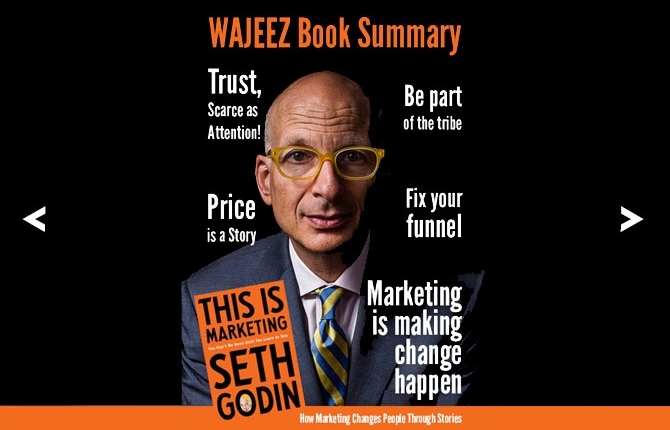 Wajeez Book Summary cover for This Is Marketing book! 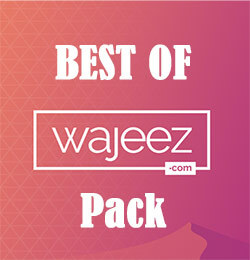 Download our special PDF version of This IS Marketing book summary (+others) when you subscribe to our Best of Wajeez pack here.